This authoritative edition was formerly published in the acclaimed Oxford Authors series under the general editorship of Frank Kermode. It brings together a unique combination of Johnson's poetry and prose - all the major poems, complemented by essays, criticism, and fiction - to give the essence of his work and thinking. 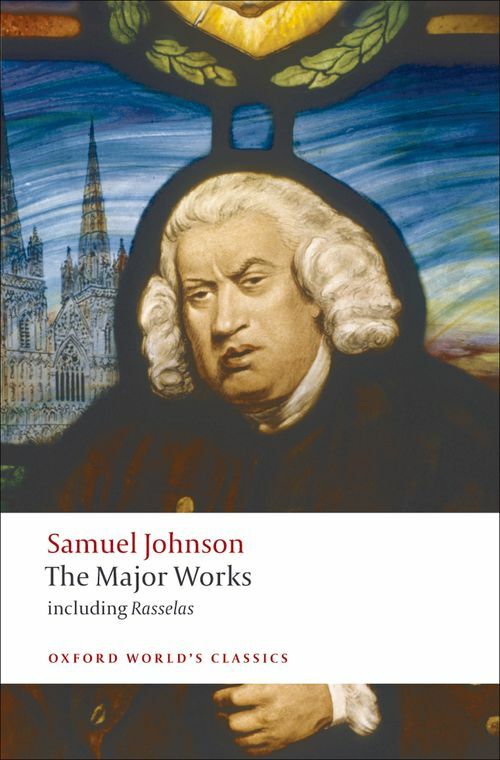 Samuel Johnson's literary reputation rests on such a varied output that he defies easy description: poet, critic, lexicographer, travel writer, essayist, editor, and, thanks to his good friend Boswell, the subject of one of the most famous English biographies. This volume celebrates Johnson's astonishing talent by selecting widely across the full range of his work. It includes 'London' and 'The Vanity of Human Wishes' among other poems, and many of his essays for the Rambler and Idler. The prefaces to his edition of Shakespeare and his famous Dictionary, together with samples from the texts, are given, as well as selections from A Journey to the Western Islands of Scotland, the Lives of the Poets, and Rasselas in its entirety. There is also a substantial representation of lesser-known prose, and of his poetry, letters, and journals. *ABOUT THE SERIES: For over 100 years Oxford World's Classics has made available the widest range of literature from around the globe. Each affordable volume reflects Oxford's commitment to scholarship, providing the most accurate text plus a wealth of other valuable features, including expert introductions by leading authorities, helpful notes to clarify the text, up-to-date bibliographies for further study, and much more.